Three days after the US reported a record trade deficit with China, overnight Beijing confirmed this record print when the General Administration of Customs announced that China's trade surplus with the U.S. hit another record monthly high in August, rising to $31.05 billion from $28.09 billion in July, and surpassing the previous record set in June as the world’s second-largest economy faced the threat of more tariffs from the Trump administration. A key reason for the latest record print was the sharp slowdown in US outbound trade, as China’s imports from the US grew only 2.7% in August, a big drop from the 11.1% growth in July. At the same time, China’s exports to the United States accelerated, growing 13.2% from a year earlier from 11.2% in July, even as U.S. tariffs targeting $50 billion of Chinese exports took full effect for their first full month in August. Over the first eight months of the year, China’s trade surplus with the US - its largest export market - has risen nearly 15% arguably at the worst possible time, as the number will surely add to tensions in the trade relationship between the world’s two largest economies which culminated with Trump's announcement on Friday that he is planning to slap tariffs on virtually all Chinese goods entering the US. Behind China's export boost a combination of factors: i) the weaker Chinese yuan and ii) exporters’ frontloading of shipments in anticipation of more tariffs, both of which contributed to the worsening trade imbalance according to Liu Xuezhi, an economist with Bank of Communications. 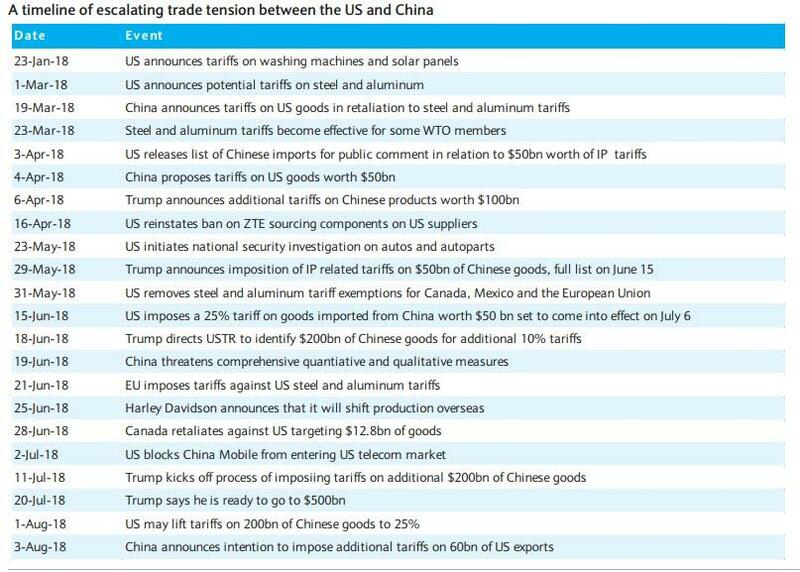 Chinese officials acknowledged Chinese exporters have been rushing out shipments to beat new U.S. tariffs, artificially buoying the headline growth readings, while some companies such as steel mills are diversifying and selling more products to other countries. "In the short term, it is difficult for the trade gap to narrow because American buyers cannot easily find alternatives to Chinese products," Liu said. This suggests that the trade war, which has been escalating, won’t be resolved quickly, the Shanghai-based economist said. A more optimistic take came from Zhang Yi, an economist at Zhonghai Shengrong Capital Management, who told Reutersthat "there is still an impact from front-loading of exports, but the main reason (for still-solid export growth) is strong growth in the U.S. economy." 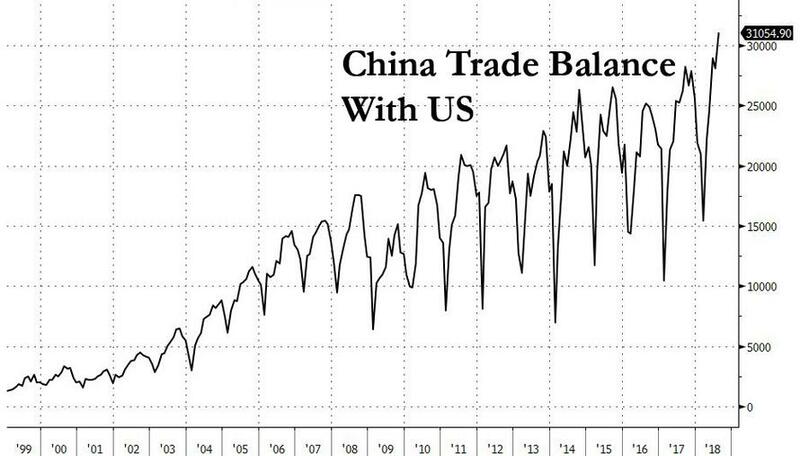 And here a curious observation: China's trade surplus with the United States was larger than China’s total net surplus for the month, which means China would be running a deficit if trade with the world’s largest economy was excluded.